New arrival 1080P version Change Resolution to HD before watching on YoutubePen came.. This pen is not your average writing tool, it features a built-in hidden security camera that allows you to capture and record anything in both video and photo mode. The videos are captured at 1296p resolution, with this kind of quality every detail and event can be recorded at your will with one touch of a button, recording has never this easy before. There is a need for spy cameras in this world, they will serve you as tool, whether it is for surveillance or recording events secretly this camera will have you back up it all scenarios, this pen is multifunctional it even has a small lens cover that can prevent you from being exposed. The hidden pen camera has the capability to record and function as an ordinary pen, it fits in your pocket like a standard sized pen, with built-in microphone you can record both voice and video simultaneously, nevertheless this device is suitable for anything and operates at your need, during meetings, office, lectures, surveillance, illegal activities etc. With this device at your hand you will have concrete proof to any case. New arrival 1080P version Change Resolution to HD before watching on YoutubePen camera HD security recorder www.securitylab.com.au - YouTube Video will open in a new windowUsing App? 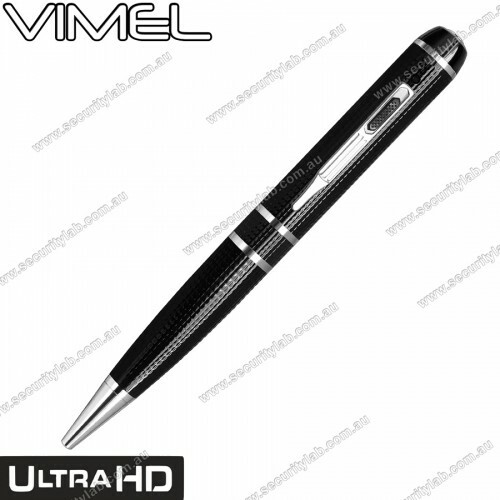 Paste li..
Vimel Professional Spy pen camera with 2K Video resolutionThe hidden pen camera has the capabili..